Losing weight over several months is a tough undertaking, but reducing your body weight by 10 pounds within a two week time-frame is even tougher. It takes a lot of focus and determination in order to achieve this weight loss goal, so make sure you're mentally prepared for this large lifestyle change. Instead of using special diet pills, powders or other "diet fads" to lose the weight, it's much healthier to drop the 10 pounds naturally through diet and exercise. High intensity interval training (H.I.I.T) is the best way to burn calories fast through exercising. However, please note that a high fitness level is required for this type of training. Eat five small meals per day; three main meals and two snacks. Your daily caloric intake should be between 1,000 to 1,500 calories per day depending upon your body size and gender (women require less calories per day). Consume a serving of vegetables at each meal/snack, at least three servings of lean meat per day (chicken, fish or turkey) and one to two servings of fruit each day. Drink plenty of water and eat lots of fiber to keep your body regular. Run sprints—preferably at a nearby track—to help boost your metabolism and burn a substantial number of calories; a half hour of sprinting can burn 400 or more calories. Stretch for approximately five minutes then sprint for about 100 meters and then jog the next 100 meters; sprint for another 100 meters and then jog for 100 meters and so on. Do four complete revolutions around the track (one mile) before walking a cool-down lap. Exercise this way for approximately 30 minutes, and end the workout with a five minute jog as well as five minutes of stretching. Run sprints for three days and then rest for a day. Continue the pattern over the 14 days. Skip rope at a high intensity for approximately 30 minutes straight, using an interval pattern of 30 to 60 seconds of slower jumping (rest period) followed by 30 to 60 seconds of rapid skipping (work period). Use this "rest-and-work" interval pattern continuously for 30 minutes. You will have burned approximately 400 to 500 calories by the end of this workout. Skip rope every day but on the days you sprint and skip rope, make sure to rest at least four hours in between to help maintain energy levels throughout the day and not burn out. Use a steam room or sauna at a local gym to relax your muscles at the end of each day. Both the steam room and sauna will also help you sweat which helps you lose water weight. Saunas and steam rooms are not proven tools to help you burn fat, but they are great for relaxing your muscles, blood vessels, joints and getting your body ready for the next day's workouts. Spend about 20 minutes in the steam room/sauna, and drink water after you are done. You must burn approximately 3,500 calories in order to lose one pound of body weight. H.I.I.T will help you burn more calories throughout the day--even while you’re sleeping--by boosting your metabolism drastically. Sip water throughout the day to stay hydrated. This will help keep your energy levels high. Consult a doctor before starting a H.I.I.T program or altering your diet. Stop the exercise if you feel faint, nauseous, dizzy or extremely weak and consult a doctor. 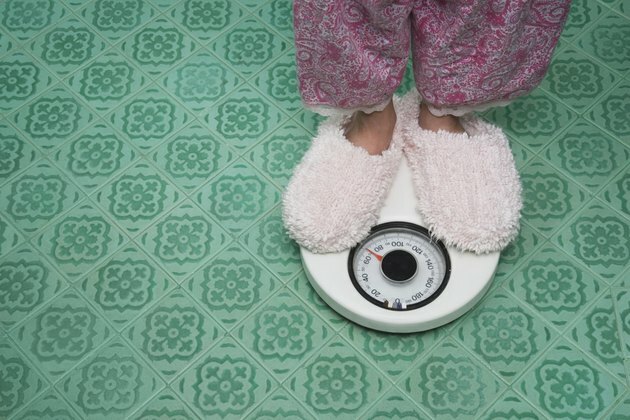 Losing weight this rapidly can be unhealthy if done incorrectly.